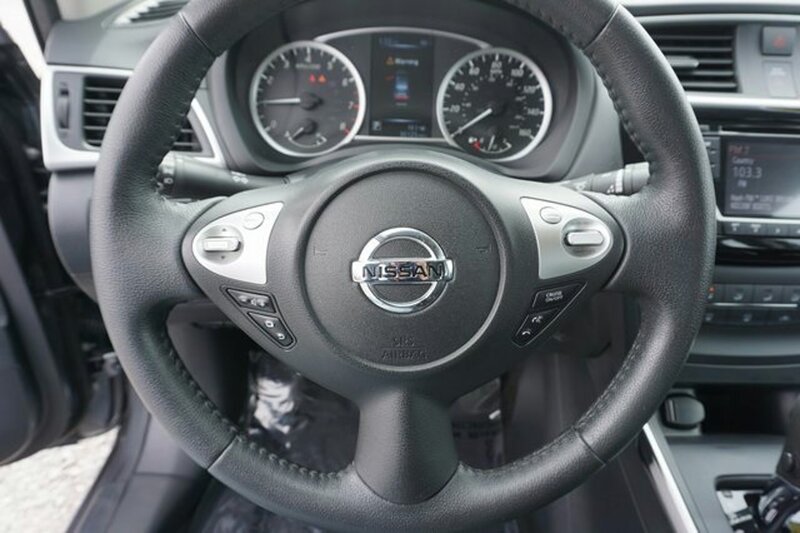 Description w/ Rearview Monitor - Bluetooth Nissan Intelligent Key w/ Push Button Ignition, Bluetooth, Rear View Monitor (Back-up Camera), CVT with Xtronic, Charcoal w/Premium Cloth Seat Trim, AM/FM radio: SiriusXM, Backup Camera (Rear View Monitor), Illuminated Kick Plates, Premium Cloth Seat Trim, Remote keyless entry. CARFAX One-Owner. Odometer is 9888 miles below market average! Our customers love the shopping experience we offer. 3 time Winner of the Consumer Satisfaction Award on DealerRater.com! Just take a look for yourself at http://www.dealerrater.com/dealer/Newton-Nissan-South-review-8957/ . We take pride in our Pre-Owned inventory, working with love & care in our reconditioning process. Come see this Nissan Sentra SV at our award winning Shelbyville location, just south of Nashville, near Murfreesboro. Contact us for a personalized walk-around video or ready for a test drive?